Get the wonderful chance to improve your Google rankings and increase your traffic. 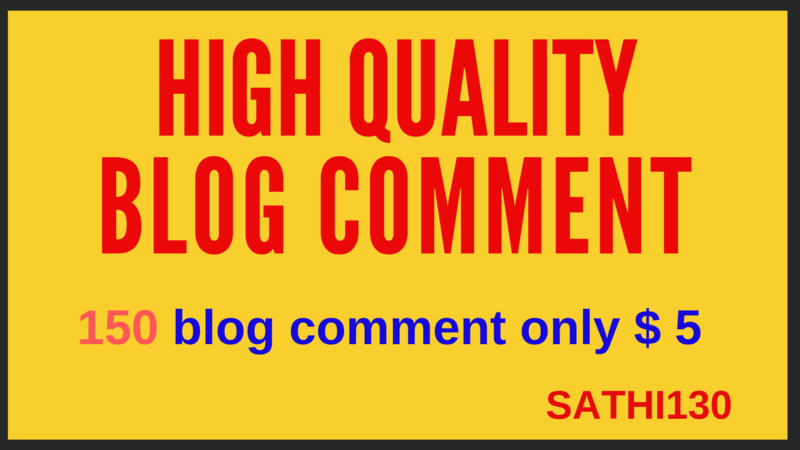 I offer to you 150 blog comments only $5. Blog comments service is more powerful and strong from all other seo service. I am providing 150 blog comment service with low OBL. Do follow links helps a web sits to boost google fast page.I will provide you do follow blog comments high DA/PA and TF/CF. >Every comment will be manually done. >100% search engines friendly and safe. >its increase organic traffic your web sits. >I will provide you with a detailed Excel report.